This development came into sharp relief with the 11 September 2001 terrorist attacks on the United Stated and has since steadily intensified. The rise of the so-called Islamic State group, which claims to have revived the classical Caliphate in the Levant region, may be viewed as the climax of this trend. The 9/11 terrorist attacks on the United States spawned a massive security industry in the West, with governments, private security experts, academics and journalists all scrambling to understand the underlying forces generating violent opposition to the West. 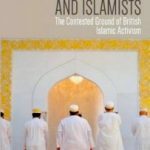 British academic Shiraz Maher’s contribution to the debate: Salafi-Jihadism: The History of an Idea (Hurst, 2016), stands out as one of the better treatments of this difficult subject. Formerly affiliated to the Pan-Islamic group Hizbut Tahrir, Maher has tried to avoid the sensationalist and overly-politicised style attributed to former British Islamists active on the so-called “de-radicalisation” circuit. Salafi-Jihadism is of considerable scholarly value in so far as it dissects the minutiae of jihadist ideology by reference to both modern and classical Salafi thought. Maher identifies five essential features of Salafi-Jihadi ideology, namely tawhid, hakimiyya, al-wala wa-l-bara, jihad and takfir, and sets out the historical, theological, jurisprudential and political drivers of each category. The chapter on jihad is of immediate interest to government and private security experts seeking to better understand the theological and ideological foundations – in addition to the historical context – that enables groups such as Islamic State to justify perpetrating violence against Western civilians on European and North American soil. By closely examining Sharia-grounded concepts such as Qisas (the law of equal retaliation) and the more generic doctrine of Tatarrus (human shields) – roughly the equivalent of the Western military term of “collateral damage” – Maher explains the painstaking pseudo-scholarly process that Salafi-Jihadis have undertaken to justify the slaughter of civilians. By definition the conceptualisation and prosecution of jihad informs the very essence of the Salafi-Jihadi phenomenon and to that end jihadists have expended considerable effort at creating a malleable theological and jurisprudential framework which posits Jihad as the sixth pillar of Islam. In later chapters (notably on Tawhid), Maher explains how Salafi-Jihadis link the practice of jihad to the full understanding of Tawhid (Monotheism). The chapter on Takfir (excommunication) is a natural extension to the chapter on Jihad in so far as the former is promiscuously applied to a wide range of actors and indeed entire communities (notably Shiite Muslims) to justify warfare against them. 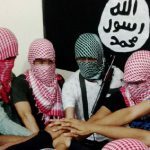 The Islamic State group in the Levant region has taken Takfir to its logical conclusion by instituting a genocidal policy on the region’s Shiite Muslim demographic. Maher’s real contribution in this chapter is to show how the classical Salafi understanding of Takfir has been successfully appropriated by jihadists for militaristic purposes. As the author explains, the inevitable intra-salafi disputes is one of degrees and a consequence of the perennial tension between theorists and practitioners. Al-wala wa-l-bara (loyalty and disavowal) is arguably the most informative chapter. The author makes use of existing Western scholarship (notably by Dutch academic Joas Wagemakers) to set out the real importance of this essentially political category. In short, Al-wala wa-l-bara enables Salafi-Jihadis to construct political boundaries and set out the terms and conditions for engagement, dissent, subversion and outright warfare. Tawhid (monotheism) is by definition the cardinal feature of Islam. Notwithstanding its centrality Salafis are overly-obsessed with the concept and use it as a yardstick to define Shirk (polytheism) and more broadly to identify, denigrate and challenge Bid’ah (innovation). Maher sets out this vast and difficult category in relatively clear terms and in keeping with his scrupulous referential methodology he utilises the distilled thoughts of classical and modern Salfi scholars and theorists. The ideational, jurisprudential and ultimately political connection between Tawhid and Jihad is poorly understood and Maher deserves credit for attempting to illuminate the most pressing features. By tracing the cross-pollination between these two categories to the Afghan jihad of the 1980s, and notably the experiences and assessment of the jihadi ideologue Abdallah Azzam, the author creates a useful historical context to track the evolution of this most fundamental feature of Salafi-Jihadi belief. The chapter on Hakimiyya (sovereignty) is arguably the weakest in so far as it is largely a survey of political Islamist thought. The material is not new and the author fails to make a genuine contribution. Moreover, the author is at risk of committing errors by betraying a poor understanding of the Sahwa (awakening) movement in Saudi Arabia. Maher’s reductive approach to this topic, by for example over-stating the importance of Sahwa activists such as Safar al-Hawali and Salman al-Auda and limiting the scope of analysis to the events of the early 1990s, fails to take stock of the true origins and nature of the Sahwa movement. Maher is on less slippery ground when he discusses the differences between Salafis and their jihadi counterparts on issues related to political sovereignty, notably the latter’s esoteric push to inextricably link Hakimiyyah to Tawhid with a view to expanding the typology of Islamic monotheism. In conclusion, Salafi-Jihadism is for specialists. The book is dense with references to classical and modern Salafi scholarship and tackles some of the most esoteric and quixotic concepts and doctrines of this tradition. The depth of this material demands a solid grounding on the history and typology of modern Islamic political thought in order to appreciate the author’s scholarship and arguments. The book is a must-read for anyone professionally or otherwise seriously involved with the issues related to the subject matter, not least the future trajectory of the global jihadist movement. 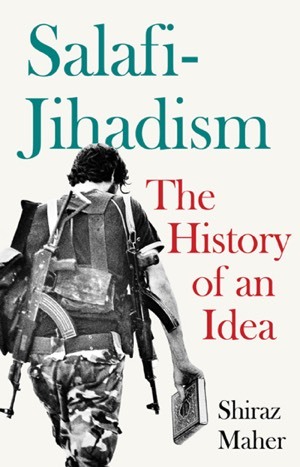 Shiraz Maher, Salafi-Jihadism: The History of an Idea, London: Hurst, 2016, 296 p.